There's good drama, and there's bad drama. 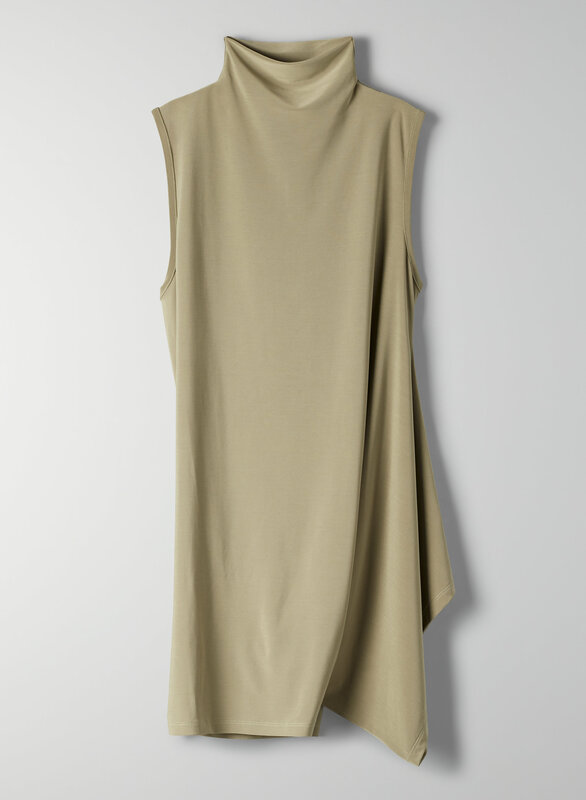 This is a mock-neck tank with a dramatic, asymmetric panel detail draped at the front and back. It's made from a matte, stretchy fabric.